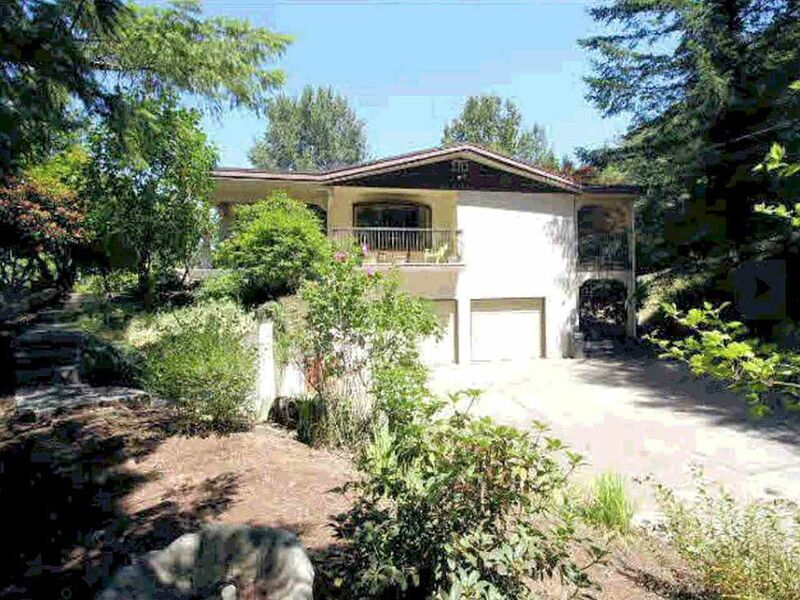 A renovator's dream; Chilliwack Mountain, incredible river and mountain views, basement entry with 3357 sq ft. 4 bdrms plus den, 2.5 baths, 3 acre lot. The home has a 24x30' garage and a large separate 30x30' shop with 12' ceilings. The shop is perfect for autobody or upholstery work. The shop has floor rails for frame straightening, will sell with P4 & pulling posts. Also included is a 3horsepower compressor & Standox car paint system. The super private nature setting is graced with deer, eagles, raccoons, almost every day. It is a great location for the naturalist with a real workshop and hobbyist to store lots of toys. Possible location for 2nd family mobile. Home has a newer roof but needs extensive renovations. See movie!